This week, another installment of This Really Happened…Storytelling at HT is upon us! The cast for the Friday, April 5 show includes Angela Cobb, Andy Christie, Paul Lyons, and David Winston, with host Joey Novick. Audience members can sign up before the show for our storytelling open mic, “Two Minute Tales.” Saturday night is Comedy Night with New Hope local Dwayne Dunlevy and his hit show ‘The C Word’, with special guests Mike Dialto and Matt Haymes. 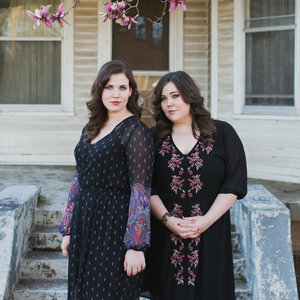 Sunday night, Alabama natives The Secret Sisters will perform songs off their beautiful third album produced by Brandi Carlile, You Don’t Own Me Anymore. Our Thursday Crybaby Matinee is MODEST HEROES, an ambitious anthology of three thrilling tales created by some of the greatest talents working in Japanese animation today. Thursday is also your last chance to catch WOMAN AT WAR before we open GLORIA BELL starring Julianne Moore as a free spirited divorcee on a collision course with romance. More info and tix here.